"I have been going to Dr Armstrong for my pets health for 20 years. When I moved into the area I interviewed the local clinics to find the best clinic for my pets. At that time I had older pets and it was vital that the clinic was well versed in medical care for geriatric patients. When the time came Dr. Armstrong and her staff showed extraordinary care and kindness. The staff showed the same care and kindness when I started to show and raise Cairn Terriers. Whether it was a minor scrape or major surgery I felt I was getting top level personalized care for each and every one of my pets. 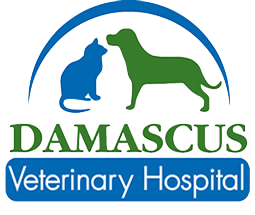 I would HIGHLY recommend Dr. Armstrong and Damascus Veterinary Hospital for all their pet health care needs." "We have been going to Dr Armstrong for years. After owning several dogs and a cat I can say with confidence that you will not find a better veterinary practice. The staff is courteous, thoughtful and responsive. The care given to animals is excellent and..."